In our assortment you can choose between 35 different branding irons which differ primarily in the size of the brander as well as the power of the heater. Sizes between 30 by 16 and 300 by 100 mm are available. The power of the stamp corresponds to the size of the branding head and is optimally adapted on this. 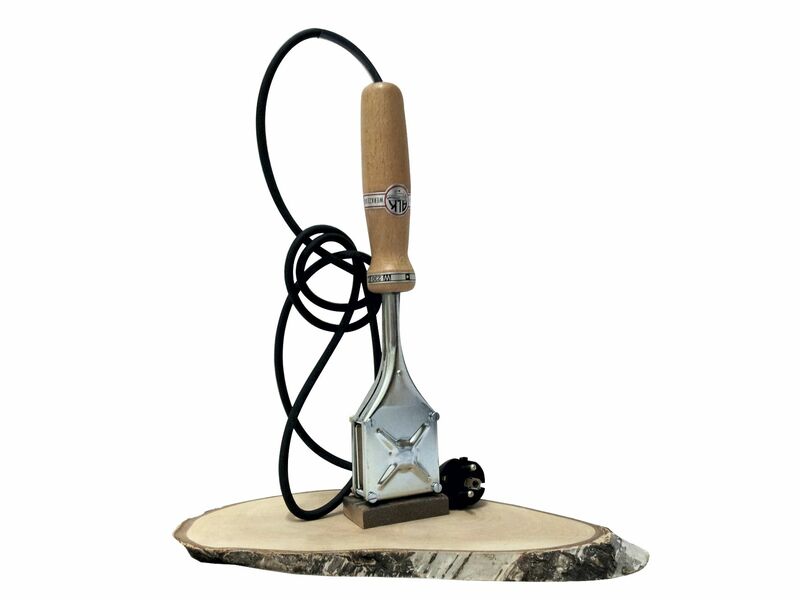 For every branding iron a suitable heater and spare branding heads are available. Any branding iron can be customized to your requirements. We manufacture various personalised branding heads like letterings, company logos, advertisement marking and standardized logos like the logo for the IPPC-marking and the marks for the EUR-Palette. Our sales team will be glad to advise you! For further information, please click to our site “Branding heads – engravings and layouts”.